The iPod Classic is a powerhouse iPod, able to play music, podcasts, videos, and display photos. With its 160 GB of storage, almost anyone will be able to fit their entire music library on the Classic and bring it with them anywhere. Since it's such a great device, the last thing you want is to let it bounce around in your bag or hit the ground without a solid case to protect it from scratches and dents. Here are four cases perfect for the iPod Classic that use materials like suede, silicone, and hard plastic to keep your device in pristine condition. Some of them even pack in a few bonus features, too. This list refers only to iPod Classic cases, not ones for the iPod touch or any other type of iPod. Snugg provides this nifty iPod Classic case that doubles as a wallet so you can carry not only your iPod but also your credit cards and cash. This case is ideal for anyone who likes to conserve space: if you already don't mind keeping your iPod in your pocket or purse, why not forget your wallet and use this two-in-one case! You can buy this iPod Classic case in several different colors including orange, brown, blue, and purple. Totally hide and protect your iPod Classic with this leather flip case from Unicorn Innovations. This case closes magnetically to help secure it when shut. It also includes a removable belt clip and has ports for your headphones and charger so you don't need to remove the iPod just to listen to music or charge up the battery. It can be hard to keep track of your headphones when you're dealing with such a small iPod, but this case fixes that by letting you attach your earbuds to the back. This case not only provides cable management, but it's also grippable to help prevent your iPod from slipping through your fingers. The case also fully protects the iPod, including the Clickwheel. Like all great iPod cases, DLO's lets you charge and use the iPod without needing to detach it from the case. If you love the look of your iPod but want the protection that comes with a case, consider getting this clear iPod Classic case. 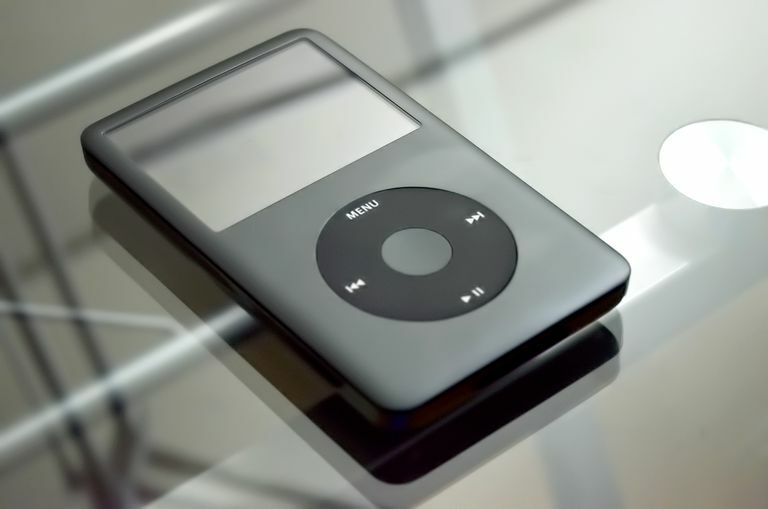 The front of this case fully covers the screen to help prevent scratches, but keep in mind that it only works with the 80 GB, 120 GB, and 160 GB (2009) models, not the 160 GB iPod Classic model released in 2007.